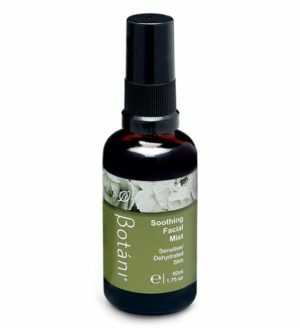 Antioxidant serum for daily vitamin boosting with essential anti-ageing vitamins A, C, E and F. A potent combination of vitamins, minerals and amino acids to shield skin from damage caused by free radicals, environmental stressors and sun damage. 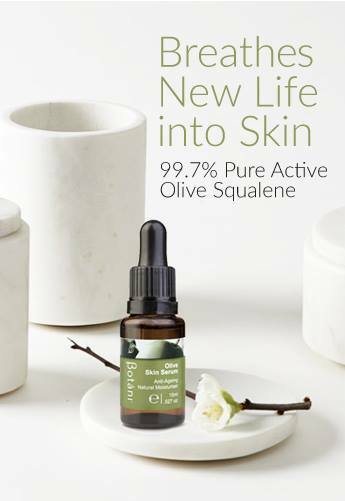 Reduces and fades the appearance of age spots and scarring. This powerhouse blend of superfoods and antioxidants; Cranberry Oil, Blackberry Oil, Squalene and Vitamin E, means it is highly effective rather than single antioxidants used on their own. Suitable for all skin types. Available in 15mL. On a daily basis our skin is in a warzone – unprotected against free radicals, UV exposure and pollution; all of which contributes to skin damage and premature ageing. 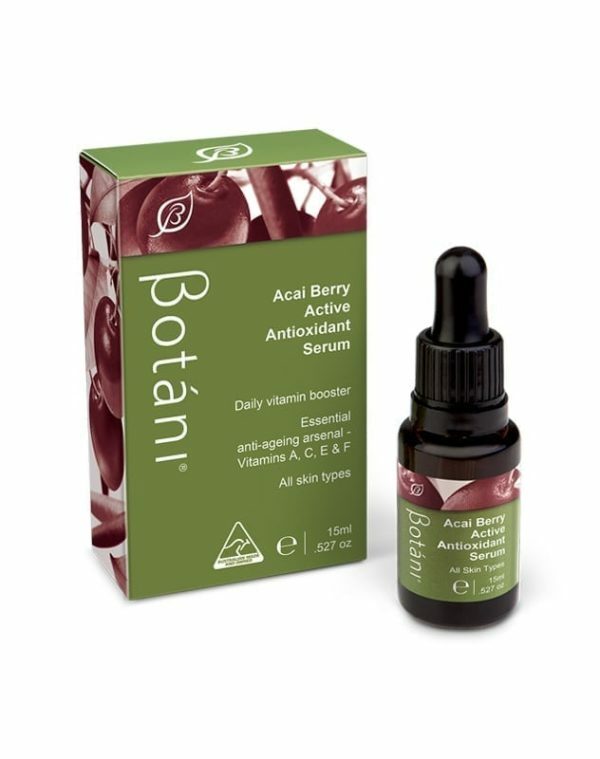 Botáni’s Acai Berry Active Antioxidant Serum is the essential daily serum that provides your skin with the energy it needs to fight back against these damaging free radicals. 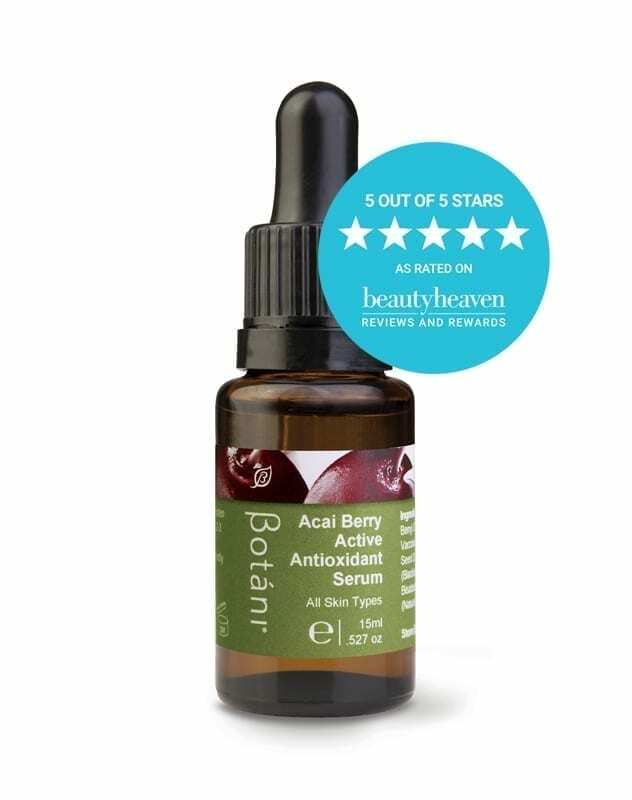 The Acai Berry Active Antioxidant Serum boasts some of nature’s most powerful and proven active vitamins, minerals superfoods and antioxidants, including exotic Amazonian Acai Berry Fruit Oil, Cranberry and Blackberry Seed Oils, as well as Botáni’s signature Olive Squalene. This synergistic blend of antioxidants forms a highly effective shield that provides essential daily protection for your delicate skin. This is the most beautiful product and leaves my highly sensitive skin glowing and healthy. I would be lost without it! 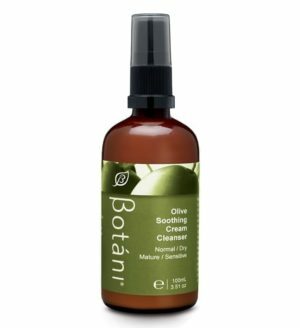 I can only speak for myself, but this amazing stuff has cleared up my perioral dermatitis that I’ve suffered with for over 12 years. Please never stop making it! This serum is AMAZING, I’m in LOVE! Sweet to smell, silky to touch and light to apply. Every drop absorbs into my skin like a cellular-boost juice. After application (night), my face looks and feels great. Hydrated, nourished and; naturally lustrous. Take it wherever you go! I love the smell! Its like magic in a bottle, keeps my skin feeling really hydrated , super absorbent and the condition of my skin becomes more suple and smooth ! 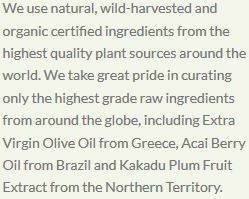 My goodness, the Acai Berry Active Antioxidant smells divine. The scent is perfect and in no way overpowering. Leaving my face damp after face washing and applying the serum allowed it to absorb easily, without any oily residue or oily feeling to my skin. And I only needed to apply half the amount of moisturiser to my skin after using the serum. My skin has felt smoother and looks brighter, and feel wonderfully moisturised all day.